MI5 officer Liz Carlyle is posted to Northern Ireland. From the moment she lands in Belfast, danger follows. She soon discovers that the peace process in the province is precarious. Then a source reports strange goings-on at a house on the Irish Sea owned by the Fraternity, an organisation Liz suspects of being a front for renegade former IRA men. Its head is Seamus Piggott, an Irish-American with a gun-running past. When another informant reports a plot is being hatched against the security forces, Liz and her colleague Dave Armstrong suspect Piggott is involved, along with a former French Intelligence officer. 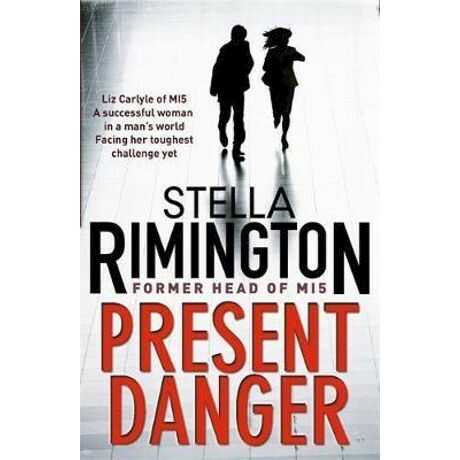 Stella Rimington joined the Security Service (MI5) in 1968. During her career she worked in all the main fields of the Service: counter-subversion, counter-espionage and counter-terrorism. She was appointed Director General in 1992, the first woman to hold the post. She has written her autobiography and four Liz Carlyle novels. She lives in London and Norfolk.